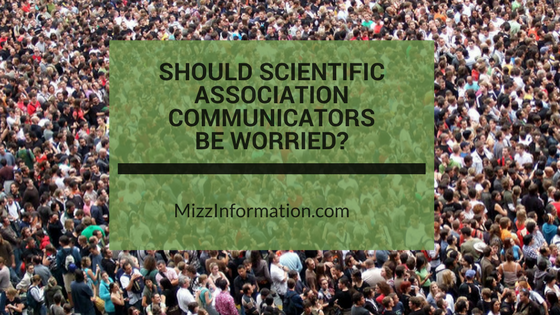 You are here: Home / associations / Should Scientific Association Communicators Be Worried? Granted, I’m a worrier by nature, but this morning I can’t help but wonder if there’s extra cause for worry today in light of the censorship that’s happening here and now in the world. 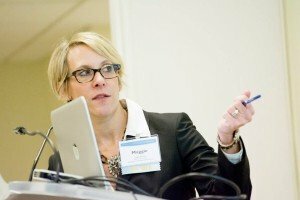 The EPA has been ordered to remove the climate change pages from its website, and is under a “temporary media blackout.” The National Park Service was banned from tweeting after retweeting “anti-Trump” showing the now utterly played-out side-by-side photos of the inauguration crowds, but was then once again allowed to resume tweeting…THEN tweeted some “rogue” facts that were subsequently deleted. All of this Orwellian drama has suddenly thrust digital communicators–especially social media managers–into the spotlight. Suddenly, the sexiest, most dangerous job in the world is social media manager for the national park service. I mean, not like it wasn’t already or anything..but it’s nice to see him/her/them being hailed as defiant bad-asses and heroes. They are defying the gag orders by starting alt-official Twitter accounts–more are cropping up by the hour. My question to those of us who work in the association sector for organizations that deal with some facet of either science or social justice–well, and just to the world, I guess–am I wasting time worrying about whether this same thing could be about to happen to us? I mean, I manage social media for a scientific organization that publishes journals and has not only web content about climate change, but an official statement about psychologists’ role in addressing global climate change. What does this new world order mean for not only the members I serve, but for the organization that works on their behalf? I have to go do that work right now so will digress…but please, whether you work for a government agency or an association–are you working on any kind of contingency plans should this censorship suddenly affect your organization? Social media managers–what are your feelings about this? Should we be worried? And, probably more importantly, should we be doing something other than worry to either prepare for the worst or stand up and fight–not for our right to tweet marketing messages, but the right to share evidence-based facts with the public? Amen Maggie! And I’d also be interested to hear from those in the Education (elementary, secondary, and postsecondary) universe. That’s a really good point, Hunter. Will keep you posted as I hear of anything happening in that space.